Support Canucks Autism Network at the 2nd Annual Rotary Club of Coquitlam Sports Dinner Fundraiser! 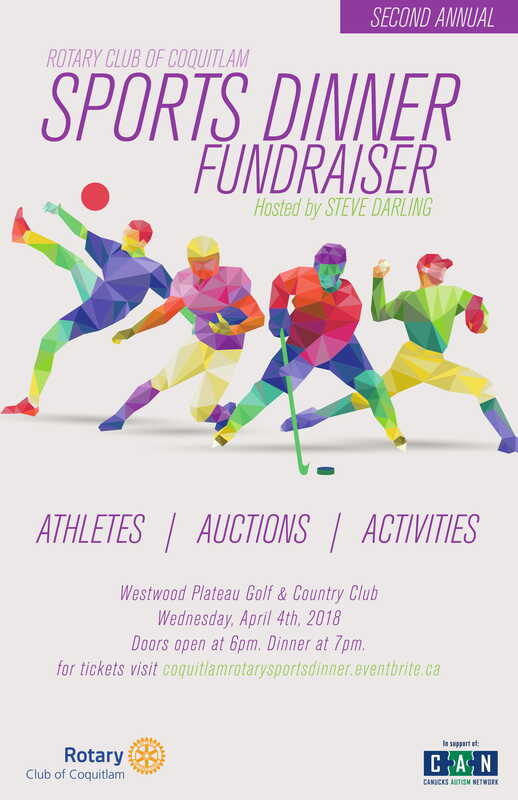 Hosted by CAN Brand Ambassador Steve Darling, the event will take place on Wednesday, April 4, 2018, at the Westwood Plateau Golf and Country Club. The Sports Dinner Fundraiser will include fabulous food, prizes, sports celebrity Q&A’s, games, and entertainment. Doors open at 6pm with a fantastic buffet dinner being served at 7pm.